In 2016, as per Food and Agriculture Organization of the United Nations, over 60 million tons of sea foods were traded across the globe. However, the international trade of seafood witnessed a decline of 10% in 2016 as compared to the time period of 2014-2015. Sluggish performance of trade in mature market and currency devaluation impacted the trade of sea food. 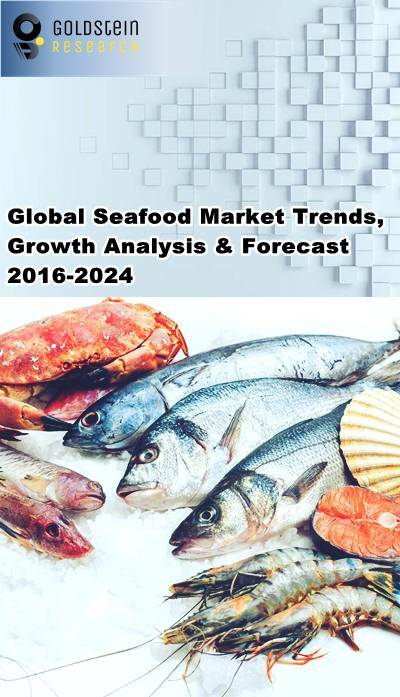 Growing importance of domestic market in leading sea food producing countries is expected to contribute in the expansion of sea food market. Government policies associated with the expansion of sea food business in domestic market is creating pool of opportunities for local and regional vendors. In Peru, government has reserved the coastal regions of anchoveta fisheries for artisanal fleets and issuing of seafood import quotas by Nigerian government issued are likely to positively impact the sea food business in the near future. Moreover, fishery and aquaculture improvement projects are anticipated to support the growth of global sea food market. In 2016, fishery improvement projects (FIP) reached over 120 in number which is majorly focusing in the improvement of fisheries management. Global seafood market is valued USD 150 billion in 2016 and is anticipated to growth at a CAGR of 4.3% during the forecast period. High nutritional values of seafood are increasing the demand for seafood across the globe. Regular intake of seafood lowers the risk of heart disease. Asia-Pacific is the dominating region for global seafood market and also is the world's largest producer of fishes. Asia-Pacific seafood market valued USD 49.5 billion in 2016. International trade plays a vital role in economic development and growth of the region. China is the major fish producer and largest exporter in Asia-Pacific region. In 2016, India also witnessed over 40% increase in seafood exports which valued nearly USD 2 billion. Rising production and export of seafood in developing countries are expected to fuel the Asia-Pacific seafood market over the forecast period. Countries such as Chile, Peru, Norway and Ecuador are likely to experience a significant growth in seafood export during the forecast period. High production of salmon is projected to increase the export by 37% in Chile over the forecast period. Rising seafood demand in the USA, the European Union (EU) and Japan are propelling the growth of global seafood market. Rise in prices for important species such as salmon, shrimp, tuna cod, herring, squid, scallops, mackerel, mussels and octopus are impacting the growth of sea food market. Moreover, shortages in the supply of farmed tuna and salmon have increased the prices of fishes in an international market. Incorrect labeling of sea food sample and substitute of sea food is also obstructing the growth of sea food market. For instance, in 2014, over 1/3rd of sea food supplied in the U.S. were incorrectly labeled mainly tuna and snapper. High pollution caused due to plastic waste and changing climatic conditions hampering the production of seafood and thereby hindering the growth of global seafood market. SeaPak Shrimp & Seafood Co.
For a detailed overview, send us request for seafood market report sample.